Samsung Galaxy A6s Leaked; Check Specification & Price: Well, you all should know that the mobile market is quite changed and various new Smartphones are coming in the market with features. Reports are coming that new Galaxy A6s is about to hit the market soon. Also, the new pictures, images, and specifications are leaked in the market. You all are going to love the new Galaxy A6s and surely you all are going to love the new features. You all should know that the Chinese certification platform TENAA has spotted the new. You all should know that the latest listing, though, reveals many hardware specifications of the phone are out. Also, the reports are coming that it is expected to launch in China soon after that they will launch it in the worldwide market. 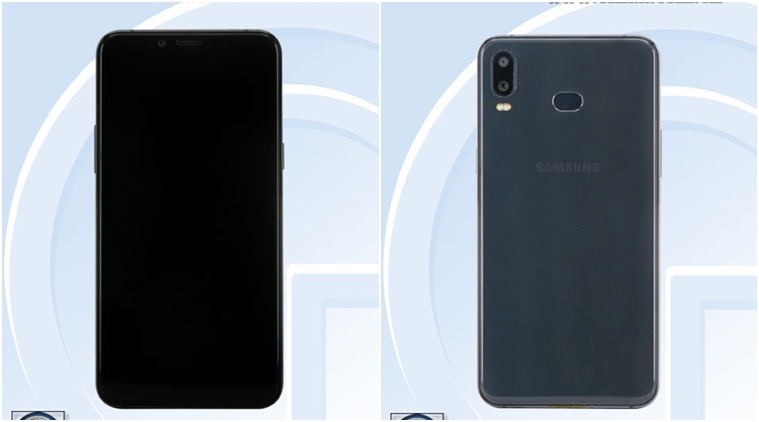 Galaxy A6’s design and image render had been leaked through a previous listing and we have the updates related to the Smartphone. Reports are claiming that the full specifications of Galaxy A6s will have to include a 5.99-inch IPS display with a screen resolution of 2180×1060 pixels and screen aspect ratio of 18:9. Also, the reports are coming that the Galaxy A6s will be based on Android 8.1 Oreo, and will run a 2.2Ghz octa-core processor, expected to be Qualcomm’s Snapdragon 660 SoC. This phone will come in various variants and it will have great features. Some sources are saying that the phone will offer 6GB RAM, 64GB/128GB internal memory and expandable storage of up to 256GB. Now, if we talk about battery life then we can say that Galaxy A6s will run a 3300mAh battery. Also, the reports are saying that the dual 12MP configuration (12MP+12MP), though the aperture is not known. As per TENAA, Galaxy A6s will be capable of 1080p video recording. The front camera will have a 5MP sensor.